The breeze had just set in clearing the overcast clouds .The coconut trees gently swayed ,touching the backwaters which lashed against them. I stand at the edge of this wide shore and take in the scene , as Dr. Ratheesh joins me , exclaimining.“ This could not have been done by a human.. ..” I look up to see him holding a book on Ayurveda. “Can you imagine 4000 years ago..getting all the herbs from various parts of the country and mixing them in the right proportion ? I mean there was no documentation at all ,” adds the doctor about this science of life. I am in God’s own country , getting a taste of God’s own medicine at Svaastha, an ayurvedic spa in Ashtamudi. The doctor goes on to explain that Brahma, the creator of this science has passed on the formula to Dhanavantri, the divine doctor . “It is part of Atharvana veda, created by Gods and preserved by man .” he says. The second largest lake after Vembanad and yet , tourism is a recent phenomena here .Shades of blue emerge from the waters as I was lost gazing at the colours.It is one of the best kept secrets of kerala.. It seems to be the perfect setting – not just to discuss Ayurveda, but to pamper the self with an Ayurvedic massage. I am spoilt by choices – from a traditional massage to various spa treatments, Svaastha promises a balance between body, mind and spirit. But before that, a complete diagnosis follows as the oils are chosen accordingly. My eyes close as a heady fragrance lulls me to sleep. The distant flicker of the lamp goes slowly out of focus. A lilting melody floats out of nowhere. “It is the jasmine flavour,” she says softly by way of introduction. The kohl brimmed eyes smile at me coyly. “This is the Shrishruka thailam .It treats sinus,”she adds. I open my eyes as she pours the oil from a miniature bronze jar onto her palms. Sandhya, my therapist is a demure young woman whose delicate fingers work magic on my scalp . I try not to think. After all massages are about shutting your mind and pampering your body. The fingers soothe every ache and coax the rigid muscles as they move from the head to the neck .I feel the essence of ayurveda inside me – a harmony of mind, body and spirit . I float into semiconsciousness . The wooden bed is soaked with the oil –Pinda thailayam as Sandhya deftly strokes my body, caressing and fondling it . She suddenly pounds it and awakens every dormant muscle. Her fingers go deep,the strokes get faster and then she gently lets go .I become limp and let my senses take over .The herbal steam lets my skin glisten as the warmth seeps into my body. I step out ,rejuvenated and the beauty is mesmerising. The calm lake add to the serenity. Small clusters of clouds float in the sky. The Chinese nets lay scattered on the waters as the fishermen are waiting for the night to dawn. I ask Dr Ratheesh as to why he chose to become an ayurvedic doctor . He laughs, amused .”As children, we used to go only to ayurvedic doctors even for a cold or fever like the way you go to a doctor..its quite common in Kerala .There are universities teaching ayurveda here like allopathy ,” he adds, saying that he graduated from Trivandrum after a five year course. I watch as cormorants dip their beaks into water and look for their morning catch. There is complete silence but for the breeze . The landscape is devoid of people , but for us. I look at the vast expanse of water, the sun’s rays stroking it, the birds and the islands..Its little wonder why Kerala is called Gods own country. The doctor’s words come back “Svaastha or Ayurveda is a balance of body,mind and spirit.”Standing on the fringes of the Ashtamudi lake, I feel the balance restored inside me. 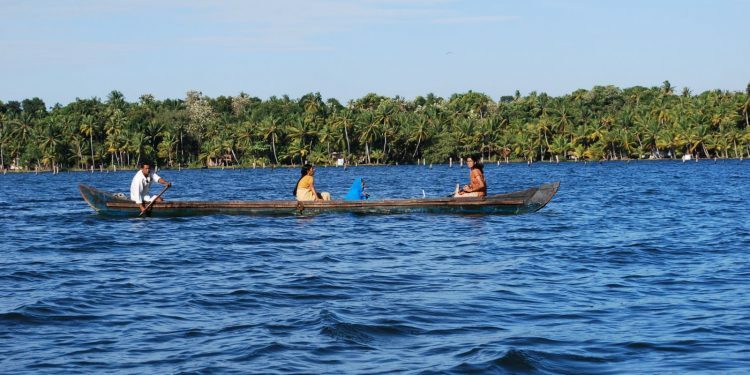 Kollam or Quilon is the closest town to Ashtamudi as its on the banks of the lake. 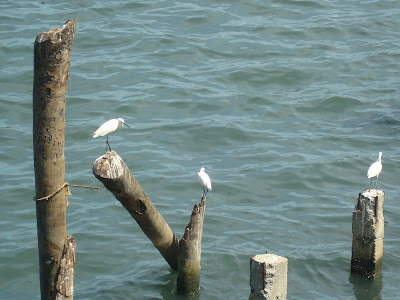 The lake connects to the Arabian Sea forming an estuary and it can be viewed from the Needakara bridge enroute to the Kollam town. The beach at Kollam and the old lighthouse at Thangasherry are some of the common sightseeing options for tourists. Corbett – Tiger Tourism anyone ? As I said on the Clay website. I loved the narration. Also, saw on twitter that your articles got published in Jet Wings and Paramount magazines. That’s pretty cool! Congratulations!! Aurvedic massages are always rejuvenating! And I long for one now. Damn! I was just now thinking of how long it has been since we went to a spa. I have had a couple of Ayurvedic ones but always in Goa. but yet to experience what you have experienced!!! Beautiful write up from Ashtamudi, during one of my India trips, I am going to get a list of these unique spots from your blog and plan to visit atleast one of them. Kerala is such a beautiful place and just reading about ayurveda, spas there makes me want to relax. How beautifully you have described the whole experience – I almost felt as if I were there myself. I have gone through many ayurvedic treatments and massages in past at varies times to my disorder. This is one wonderful workout to have peace at mind and stress free physically. Seems like the surroundings adds more pleasure to the solace, and nice describe on ayurveda. Hi Lakshmi! So glad to see you back to the excellent posts’ time!! Wonderful pictures, interesting text; what a great way to start the day!! The pictures are lovely and I can sense how much you have enjoyed the trip! Hello. I am returning the visit that you paid to my post. I really enjoyed your post. The pictures are wonderful. Hope to see you visit again, as I will be back here to visit you. You don’t need to post this entry. I wasn’t paying attention when I stumbled onto your post. You didn’t visit my post, it was Jarlin Paul. I accidentally clicked on the blogs that he follows thinking it was his blogs. Sorry about that! I do hope you will visit my blog anyway. A wonderful article. No wonder you get published!! Just reading about your feelings during the massage, I felt it and wanted to get one. I did get an Ayurveda treatment in Trivandrum 14 years ago, and one of the massages hurt so much, I still can feel it 😀 But the rest was heavenly! About you wondering how Ayurveda got pushed aside; the same happened to what we call nowadays ‘alternative’ Therapy. Oh, an picture 5 – so serene! Good to see you getting some non-backpakker treatment :). what pics, the blue is so blue. grow myts.in as you find time. i love water bodies of Kerala. Didnt know about Ashtamudi! Nice post and pics. 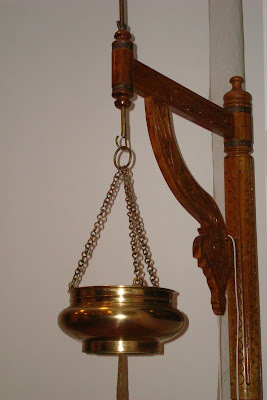 I too heard about Ayurveda treatment and posted an article in my blog. Keep up your good work. Hope you too visited my page. Kerala is as fascinating as Ayurved. Oh! Forgot to mention. Your profile photo is so good; you look so happy enjoying that waterfall! Beautiful pictures and beautiful narration of your experiences. Good massage experience. These photos are lovely. The water bodies in Kerala are very beautiful. Does this Lake join the backwaters? You almost took us ther except without our presence. Oh my God………. Such beautiful beautiful place! It’s indeed a great place to visit, a rather hidden treasure in Kerala. Thanks for the great information. Feel so great to know about Ashtamudi. Nice experience. I enjoyed reading your article. Thanks for sharing your such an epic experience. Each and every description in your article impressed me a lot. Now, I am feeling like tempt. Also feel so nice to read about therapy.